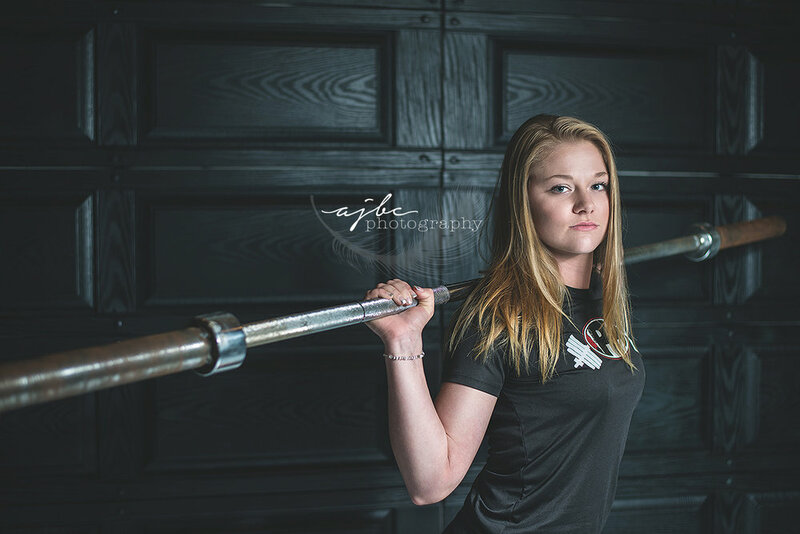 See what it looks like to Experience an AJBC Senior Shoot in the video below. Thanks to this Port Huron High Senior, Color Guard is my new favorite sport. It probably does help that Janelle also does Power Lifting, so her fierce strength with the weights allows her to carelessly spin her flags in the air and make it look so magical. And believe me, seeing it in person early in the morning at sunrise on the shores of Lake Huron while the sun slowly reached over the clouds and bounced back on the water was truly peaceful and stunning. Look at the images, her skin is literally sparkling. It was awesome to watch as Janelle transitioned from this soft, Color Guard Cinderella, to a beautiful 17 year old girl hanging out on a Fall day, to a strong, confident weight lifter, and ended on a grungy, sassy look hidden under an old train trestle track. She pulled off all looks perfectly.